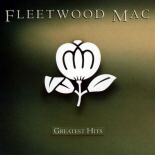 Fleetwood Mac News: (Sales Update) FLEETWOOD MAC'S "GREATEST HITS"
Released in 1988, Fleetwood Mac's "Greatest Hits" continues to sell well. For the most recent Billboard 200 Catalogue chart for the week ending September 19, 2010 "Greatest Hits" is sitting at #83 with sales for the week of 1,582 units down from the previous week of 1,798 units. Total US sales (1991 to present) the disc has sold 4,384,136 units. Since September, 2009 the compilation has sold a total of 112,152 units in the US. "Greatest Hits" was last certified by the RIAA in 2000 at 8x platinum (8 million units shipped in the US). Soundscan tracks actual sales, over the counter and digital, the RIAA tracks shipments. Soundscan is the official method of tracking sales of music and music video products throughout the United States and Canada. It began tracking point of sale (POS) sales in early 1991. SoundScan is the sales source for the Billboard music charts, making it the official source of sales records in the music industry.